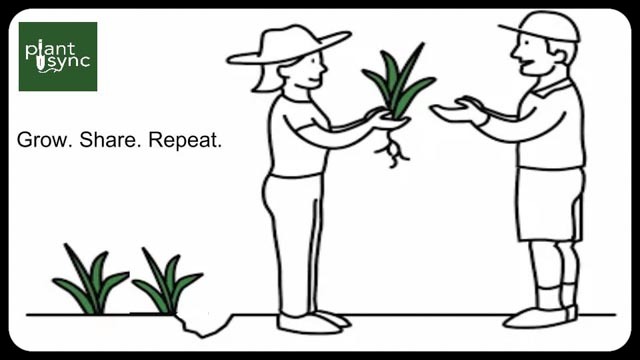 At one level Open Source PlantsTM is simply sharing free plants. If that’s enough for you, take a look at Plant Choices, follow us on Facebook, and have fun! At another level Open Source PlantsTM is a climate-friendly process to reduce greenhouse gas emissions, optimize carbon sequestration, and create resilient landscapes. GROW selected plants until they are big enough to divide. SHARE them locally with friends, neighbors, acquaintances, etc. How is this process climate-friendly? Plants and supporting materials, such as peat-based potting mix, containers, fertilizers, pesticides, dyes, labels, and packaging are manufactured products that are traded globally. Carbon emissions are produced by the manufacture and long distance transport of plants and their supporting products. The key elements of Open Source PlantsTM are sources and choices of plants. Sourcing plants locally, in season, and from the ground, avoids greenhouse gas emissions from 1) the manufacture of plants and supporting products and 2) the long-distance transport of plants through typical commercial channels. The use of proven, local, field-grown plants also inherently guarantees adaptability to the most recent, local, environmental conditions. Choosing certain plants (see Plant Choices) can further reduce greenhouse gas emissions, sequester additional carbon, and improve resilience of gardens to climate change. Sharing plants has its own risks. Please note the “Guidelines” in Plant Choices. [Note: Seeds are the best vehicle for transferring plants in a way that minimizes emissions. They are (usually) small and take little energy to package and transport. But not all plants germinate easily or breed true from seed (if that is the goal). And most plants take longer to reach maturity from seed].